Can the GOP Win Hispanic Voters in 2016? Susana Martinez vs. Julian Castro for vice president? Maybe. It’s just one sign, among many others, that the Republican establishment is figuring out that it needs Hispanic voters on its side if it has a prayer of winning the 2016 presidential election: Governor Chris Christie of New Jersey is heading to New Mexico to campaign for Susana Martínez, the governor of New Mexico. 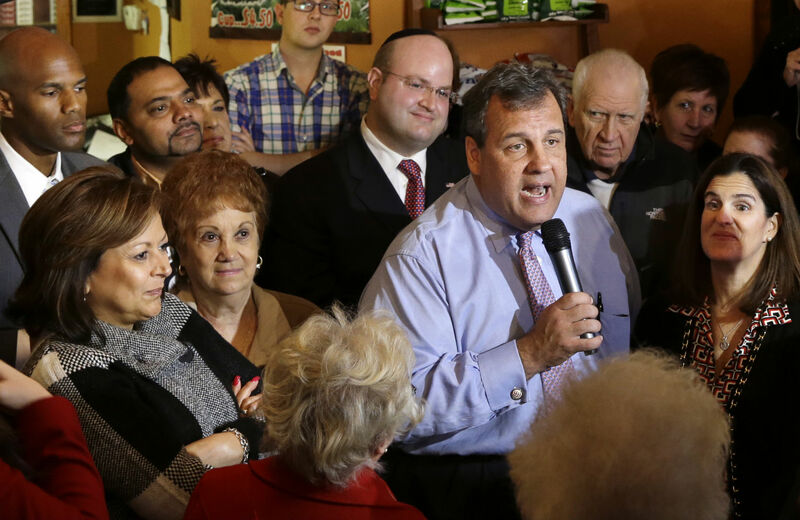 Christie, who heads the Republican Governors Association (RGA), will spend some time in the state with Martínez, who is well positioned for reelection in a Democratic-trending state. Next week, Martinez is headed for Chevy Chase, Md., to attend a re-election fundraiser at which “honored guests” include several potential 2016 GOP presidential candidates, including U.S. Sens. Rand Paul of Kentucky and Marco Rubio of Florida, U.S. Rep. Paul Ryan of Wisconsin and Louisiana Gov. Bobby Jindal, vice chairman of the Republican Governors Committee. Is it possible that the winning ticket for Republicans in 2016 was on display during the New Jersey gubernatorial campaign? The pairing has a nice ring to it: Christie-Martínez. That was before Bridgegate, of course. And Republicans who want to curry favor with Hispanic voters nationally are facing a very, very steep uphill climb. Any idea that simply nominating a Hispanic woman is enough to corral lots of Hispanic votes ignores the fact that on substance the Republicans have alienated immigrants by their refusal to move forward on reform—not to mention reactionary Republican views on issues that matter to Hispanics, such as healthcare reform, job creation, the minimum wage and a host of other issues. Plus, this week President Obama reached out to San Antonio to pick its mayor to lead the US Department of Housing and Urban Development. Few prominent Hispanic Democrats are positioned to be considered for vice president in 2016, but several Republicans are thought to be prospects for their party’s next ticket, including Senators Ted Cruz of Texas and Marco Rubio of Florida and Gov. Susana Martinez of New Mexico.… Given how crucial Hispanics’ votes were in Mr. Obama’s two victories, some Democrats believe that former Secretary of State Hillary Rodham Clinton, should she run and win the nomination, would be wise to pick a Hispanic running mate. The Republican establishment—now busy beating back the Tea Party far right while, simultaneously, trying to keep them on the reservation for the fall elections in 2014—gets the Hispanic vote issue. Last February, Grover Norquist, the zealous crusader against taxation who straddles the gap between Tea Party and establishment, and Tom Donohue, the president of the US Chamber of Commerce, sounded clarion calls for some sort of immigration reform, in order to persuade Hispanic voters and others that the GOP isn’t the enemy of immigrants and their families. Forty percent of our Fortune 500 companies are run by either immigrants or the sons or daughters of immigrants, so immigration brings a lot of talent, a lot of opportunity. … It’s what makes the United States dynamic versus the rest of the world. … The reason we’re the future and China isn’t is [because] we do immigration and have a growing population and a more vibrant one. [There’s] a lot of whining that goes on during this process, but we watched fifty years ago and 100 years ago when our parents showed up, or got whined at, and now we’re whining about the new guys. But in point of fact, I think that we’ll see some sort of reform because we need to do something. Immigrants do not typically compete with Americans for jobs, and, in fact, create more jobs through entrepreneurship, economic activity, and tax revenues.… Immigrants serve as a complement to US-born workers and can help fill labor shortages across the skill spectrum and in key sectors. Central to [their] goal will be persuading the more than two million Hispanics who are eligible to vote but did not in 2012. In 2010, about one million voting-age Hispanics cast ballots for a turnout rate of about 23 percent, compared with about 44 percent among white voters. That was the message, too, from the Center for American Progress, which released a study earlier this year about the changing demographics of the Hispanic vote and its growth in traditionally Republican states such as Texas and Arizona.